The Cairo Hearing on Reproductive Health and Human Rights was part of the NGO Forum held parallel to the United Nations International Conference on Population and Development (ICPD). 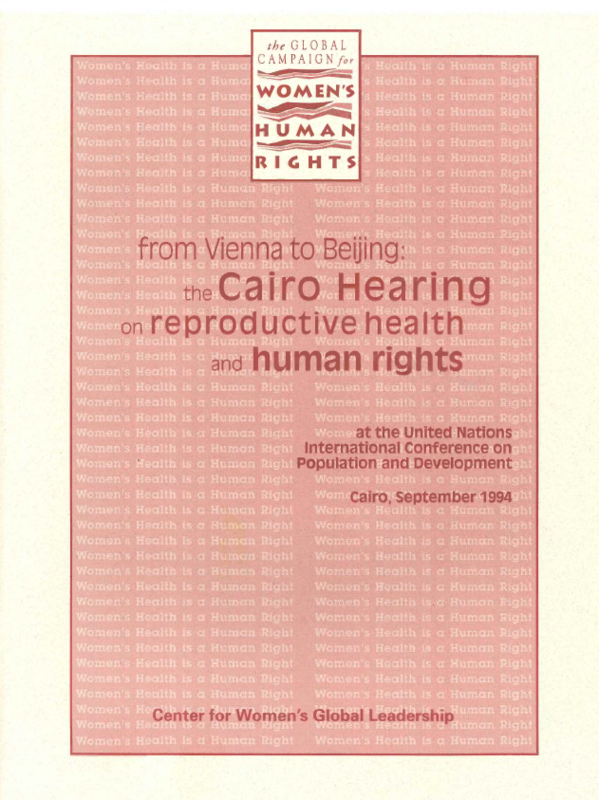 Organized by the Center for Women’s Global Leadership (CWGL) in collaboration with other organizations as the second tribunal after Vienna, the Cairo Hearing emphasized that a woman’s fundamental right to her health is a human right to bodily integrity that cannot be compromised by any actor claiming to have control over her body. The hearings sought to link the ICPD to human rights by demonstrating ways in which women’s reproductive and sexual health and human rights are jeopardized by forces such as family, medical institutions, states, and international financial institutions.